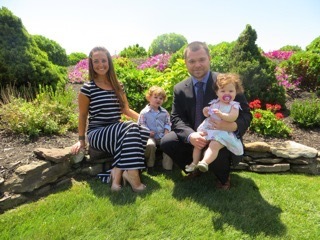 Dr. John Tiffany grew up in South Jersey and later earned his bachelor of science degree in Biology from York College of Pennsylvania in 2003. Dr. Tiffany is a graduate of NYU College of Dentistry in 2007 and completed his General Practice Residency at Virtua Hospital in 2008. After completing his residency, he joined the practice of his residency directors Dr. Frank Lammerding and Dr. John Petrone which was established in 1981. Tiffany Family Dental was formed on this foundation to provide an exceptional dental experience and maintain a comforting and calm environment to deliver high quality dental care. Dr. Tiffany is dedicated to continuing education and is a 10 year member of the American Dental Association, The Southern Dental Society and the South Jersey Dental Study Club. Invisalign certified since 2007 and experienced in Facially Generated Treatment Planning as a proud member of the elite Spear Faculty Club based in Scottsdale, Arizona. Teaching is a priority to Dr. Tiffany’s future plans and currently lectures at Camden County College to the outstanding Dental Assisting program. In his free time, Dr. Tiffany enjoys spending time with his wife and two children.